High Level Assembler (HLA) is an assembly language developed by Randall Hyde. It allows the use of higher-level language constructs to aid both beginners and advanced assembly developers. It fully supports advanced data types and object-oriented assembly language programming. It uses a syntax loosely based on several high-level languages (HLL), such as Pascal, Ada, Modula-2, and C++, to allow creating readable assembly language programs, and to allow HLL programmers to learn HLA as fast as possible. What kind of assignment help for HLA language we provide? A short introduction for HLA programming language with example and proper explanation of example with screen shot. Student form colleges and school can join the online tutorial service and learn the programming language in effective manner. All Services are available 24/7 live for all students who are facing problem with HLA. 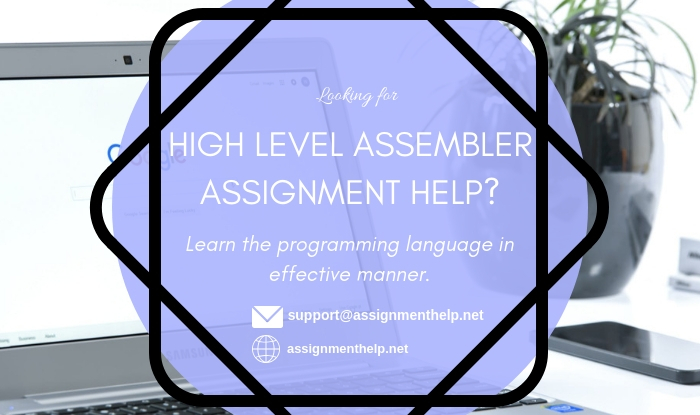 If any student facing problem in Programming section of high level assembler then they can chat with our expert team and get solution for the problem. Our expert programmers are always available to help. Our goal is to provide all types of help with minimum cost to all students. Assignmenthelp.net services are open to all at a nominal cost.